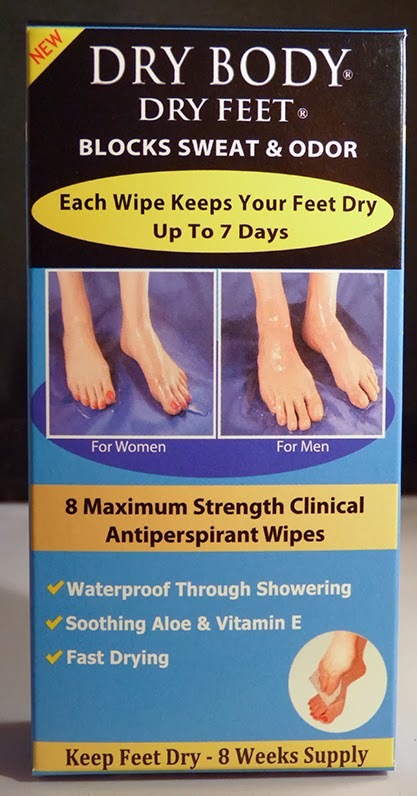 Advanced Dry Feet lubricated wet-wipes are a great and easy solution for sweaty feet. Podiatrist recommended as an effective solution for their patients. Saturated with 15% aluminum chloride and extra aloes and vitamin E it represents comfort and confidence for many days. There is no better product for sweaty and smelly feet available. Regain your confidence! !